Experience – Page 2 – សញ្ជាតិកម្ពុជា, គិត, មានអារម្មណ៍, ទទួលបទពិសោធន៍​, ​សិល្បៈ, វប្បធម៌ និង សេចក្តីស្រឡាញ់ Cambodian, Think, Feel, Experience, Arts, Culture and Love. ពិបាកធ្វើការជាមួយនិងអ្នកគ្រប់គ្រង។ It is difficult to work with my manager. What should I do? 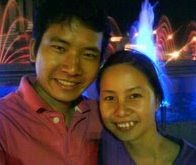 Translation to Khmer by Thik Kalyann. Life is about the choices you make in every step of the way. No matter the circumstances, you still have the choices available to you. See things from a different perspective, do not constraint yourself and your thoughts that you do not have a choice. What are your thoughts on choices? The culture of NO Hatred. Thanks to The Performing Arts Market (TPAM) in Yokohama, I found this list of resources of International Performing Arts Market and Platform to help performing arts professional expand their networks and reaches. I hope to meet some of you in some of those platforms. Here is the list. Do not take things too seriously in life or do not take life itself too seriously? 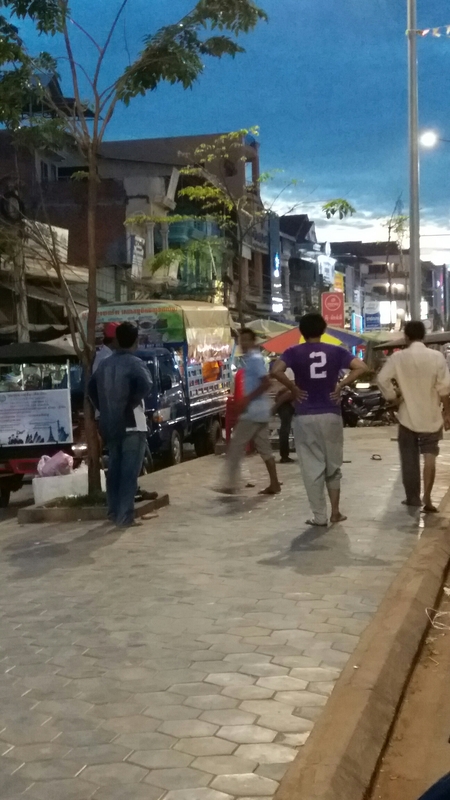 Pictured above, adults playing a simple kids’ game using sandals in public in front of a market in Siem Reap. I don’t know the answer. I take things and life too seriously all the time. But I chill out sometimes and I would join this group of men to play and not think about A THONG. Nothing at all.